January is a special month for Cebuanos. Many look forward to this time of the month because it is when the feast day of the child Jesus is celebrated. People don’t just get together and have fun; but most especially, they express their devotion to the child Jesus. 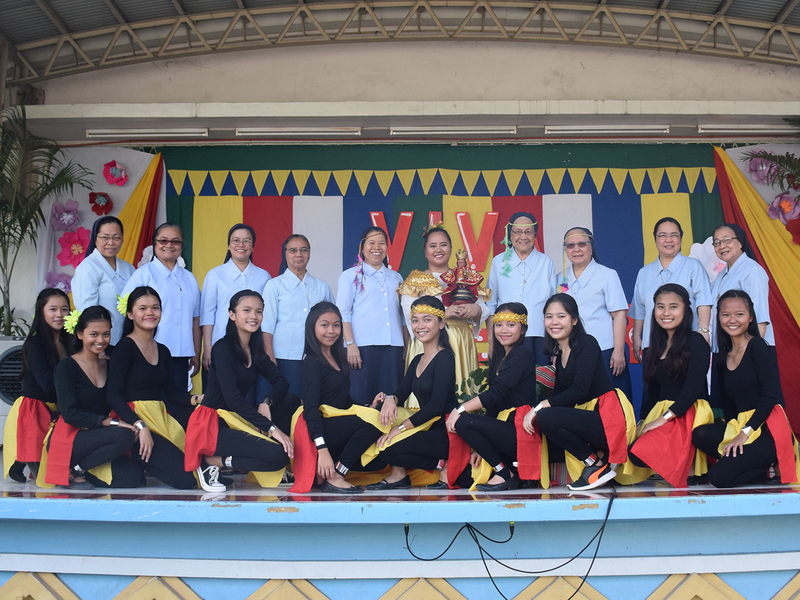 As a tribute to Señor Santo Niño, Colegio de la Inmaculada Concepcion-Cebu celebrated the annual Sinulog sa CIC, and it was a great success. The spirit of festivity was felt throughout the celebration. Students participated during the Holy Mass and they learned a lot too! Right after the mass, the traditional Sinulog chants were done. After which, the students wholeheartedly danced for Señor Santo Niño, “ang Balaang Bata”. Costumes of red and yellow were worn by the dancers and a graceful and enchanting dance was beautifully executed by them, with their festival queen, Miss Risty Pagadan. “Sinulog sa CIC 2019” was a successful and meaningful event because of the devotion and the smiles that the students shared during the dance celebration. There was something beautiful to it and that gesture alone made others smile as well. During the Holy Mass, students and the LaMPs waved their white handkerchiefs in honor of the beloved Santo Niño during the offertory, and it was a magnificent and fascinating moment to watch. It really showed how passionate Filipinos are, as faithful followers of Jesus, our God and Savior. The solemnity and the joy of events like this make the celebration always a total success. Smiles on the faces are shown and warmth from the hearts are shared. Truly, a wonderful experience to cherish and a memorable moment to share with other people, especially the CIC family. Viva Pit Señor!